The lightweight Globetrotter stroller combines convenience, elegance and laid-back comfort for children from 6 months to 55lb. Easy to maneuver, its 5-point harness provides safety whilst the raincover and water-resistant hood shields from rain or snow. A snap to fold, store, and recline, the Globetrotter weighs just 10.6lb and suits the travel needs for on-the-go families. Simple fold mechanism for easy portability and storage. Durable engineering material developed for endurance and lightweight handling. A single-hand umbrella fold action that easily opens and collapses stroller. Large water proof hood with rear apron for additional coverage and UPF +50 sun protection. Attached to the chassis for ease of transport once the stroller has been folded. Included raincover shields child from rain, wind, and snow while allowing ample ventilation. Added assurance to keep your stroller securely tethered to you wherever you go. Feature to keep stroller seat clean by simply hand washing and lay flat to dry. Angled handles for added comfort and ease of steering. A single-step brake pedal that locks and unlocks both rear wheels. Provides ample storage to carry sundries and stroller essentials. Compact design for easy maneuverability through standard doorways. 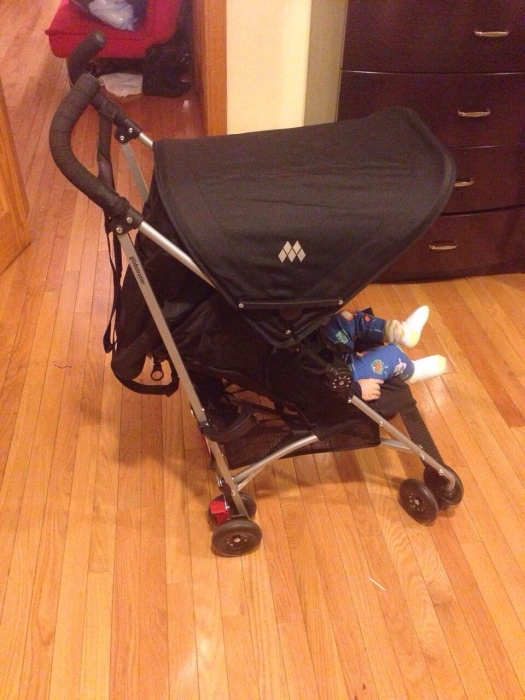 This is a second Maclaren stroller I bought wishing it would be good as the first Maclaren which was a Triumph. I picked this one bc it reclines more and it was on sale but it is so hard to push and maneuver and strap is a joke. It is too natrow making my little one uncomfortable so I still use my Britax stroller instead. Very disappointed as a precious Maclaren user. This umbrella stroller is very light and compact. 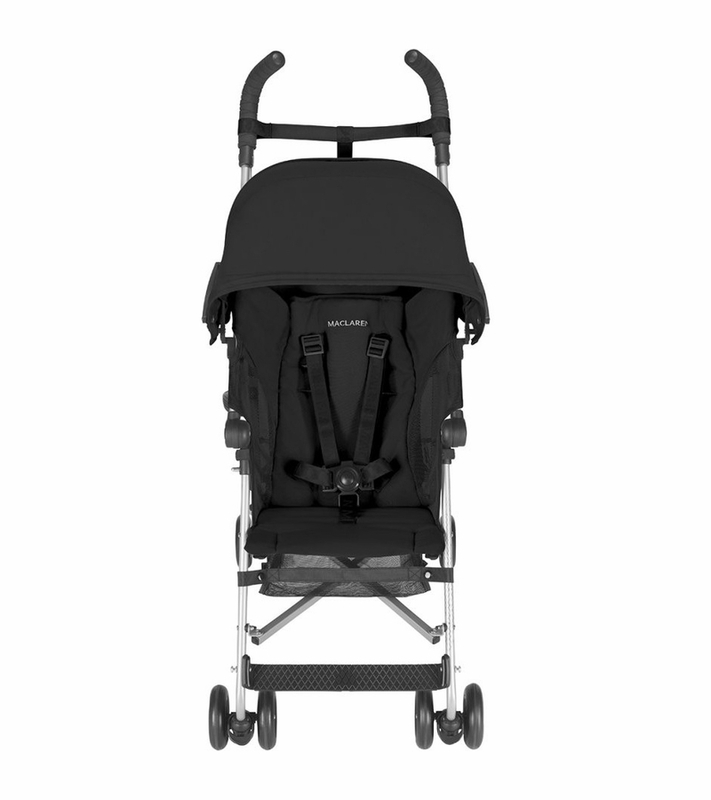 We compared several models of Maclaren, this one has the lowest price with the most useful features. Moreover, we bought at $99, which is a best ever price. Easy to use, looks great. What's interesting is that the back portion where the child sits is actually a bit flexible, so our little boy can lean forward a bit to look around, but is never at risk of falling out. Very lightweight stroller it fits anywhere! Fast service. Item came as billed. Reasonable price. I'll shop here again. We decided to purchase a second stroller for travel. The maclaren is perfect. Light and compact and very easy to use. We wanted a stroller that could also recline so it covers all the requirements for us. Though it does not fold up as small as I was hoping, it is very easy to use and fold up, even with a toddler to contend with. 11 lbs does feel like more than you would think, but the carry strap makes it easy to carry. Great travel stroller. Easy to open & close, easy to maneuver, and looks great too! I bought this for my 6 month old and we've used it quite a bit, most recently at Disney. I can open and close it while holding her, which is a plus. It's lightweight and takes up minimal room in our vehicle. The basket is pretty small and hard to get to so we don't use it that much. I've also been having problems with the straps. The top part of the harness is too lose and the bottom is difficult to adjust. I think it may because of her age at this point so we'll see as she gets bigger. Overall a nice stroller. I bought Maclaren for my own kids and now for my grandkids. Still solid and reliable. Great delivery - as promised! Moves very well, my baby son loves it. I initially thought the color was going to closer to pink than red like it is in the photo, but the color was actually very red and is perfect for a boy or girl. I had a Maclaren with my first child, not sure which model.I went through a few different brands before buying a Maclaren for my second child. I just love how light and compact they are. So easy to push! ConsDoesn't always stay folded shut when carrying, small basket. My original stroller was CitiMini which was terrific as a starter but it was so heavy and bulky so we purchased this one for our 9MO. It has been such a terrific move, we take it on the subway, have taken it on vacation, it's so light and just easy. Some reviews warned that it would be too red and not as pictured but I found the color just right. We purchased this stroller exclusively for an upcoming Disney trip for our pre-schooler, who is also on the tall side. She is able to ride comfortably with no complaints. The stroller is very well made, with long handles so that my 6'3" husband does not have to stoop over when pushing the stroller. With the large storage basket, large shade and convenient carry strap, this is the perfect stroller for travel. Highly recommend! This stroller is easy to fold & open, navigates bumpy roads & steep curbs well, and is the perfect height for 5'4"-5'10ish people - in other words, you don't need to hunch over to push this stroller. I bought this for my friends' baby shower. She was so happy with it. 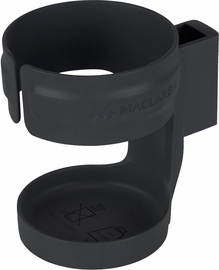 I felt confident purchasing a Maclaren for her because I had one for my son who is now 11! The purchase was hassle free. The manager of the brick and moarter store even called me to make sure it was being delivered to the correct address. Other box stores or online stores don't do that! I will be making future purchases through Albee! I have a special needs daughter who is 5 and she is unable to walk and she is very tall. I have been through A LOT of strollers with no luck. Her feet would always drag. I ordered this stroller thinking I would have to send it back but I was like what the heck I'll just get it. I revived it very quickly and as soon as I sat her in it I loved it and she loved it. It rides so smooth and she fits in it perfect. 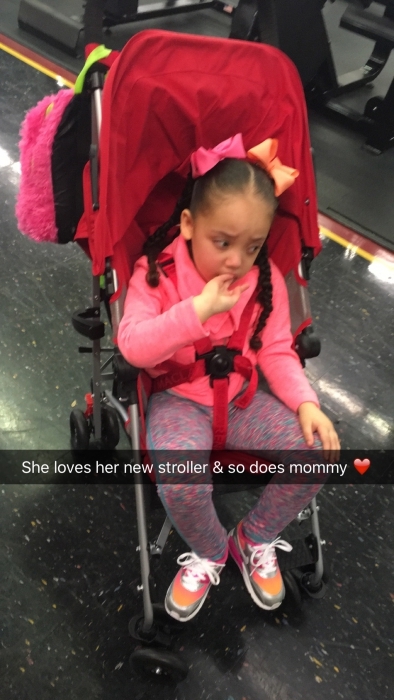 No issues with her feet dragging and the buckles keep her secure in the stroller because sometimes she can be a wiggle worm ;) all in all this is a great stroller and a great price with super fast shipping!! I would buy again in a heartbeat! I have seven children and bought two of these for travel through the airport and on a cruise. They steer and fold beautifully and the cushioned seat is lovely. My two youngest frequently fell asleep in them. Could not recommend more highly and I have had many strollers. This stroller fits most of my requirements for an umbrella stroller: can recline, big canopy, light weight and sturdy.I didn't try it in store, so was quite nervous how it will look and work in real life. Few things I realize after using it for a bit:One hand fold is difficult. I find it easier to bend down and adjust the right handle before folding; and it doesn't allow my baby sit up straight. He is ok with leaning back while walking, but always wants to sit up and look around when we stop. Took a star off for each point. Easy enough to use and our little guy seems to like it. However, when you told the stroller the wheels touch the canopy and get it dirty. 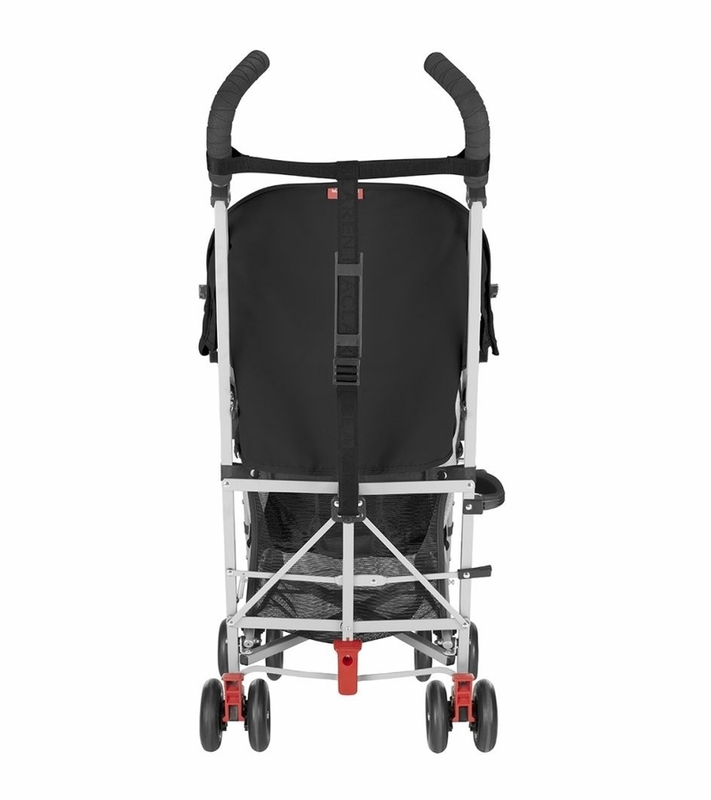 We have only used the stroller a few times and the canopy is already fairly dirty, which stands out on the red. I have a travel system stroller which, don't get me wrong, I love. But, I have found it very difficult to travel with as it is very bulky and basically takes up all the trunk space. This stroller is great, it folds up nice and tight leaving plenty of room. It is also very light and easy to close and has an auto lock feature which I like. 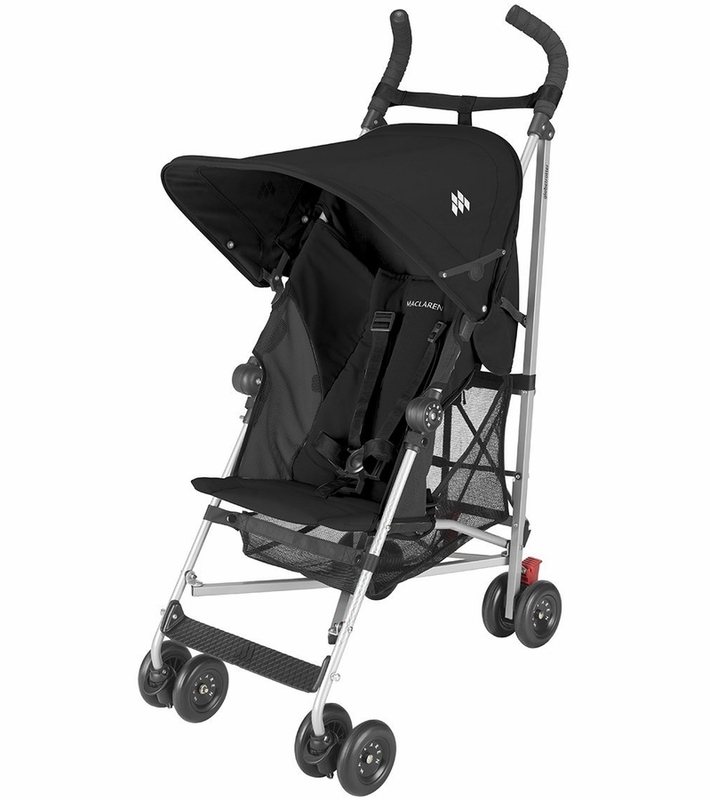 It has more padding in the seat than other light weight strollers. I also like that the 5 point harness can be opened with one press but at the same time the press needs to be firm so I don't think my child will be a able to open it. I just wish the basket was a bit bigger, but it is a light weight stroller and a small basket is to be expected. 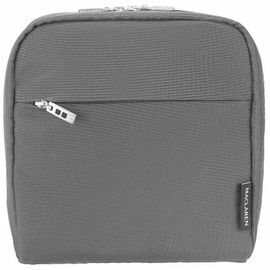 ProsLight weight, attractive, side breathable mesh, and small back pocket for phone and keys. I have a travel system stroller that I really like, yet rarely use because I live in NYC in a non-elevator building. I bought the mclaren as a light-weight option. A great, easy to maneuver, light-weight stroller- very roomy and comfortable for my tall 2.5 year old. It's so easy to fold and unfold. Ready to go out of the box. The blue/ purple coor combo is even better than pictured on the screen. Best Usesgreat stroller for toddlers who still need a stroller but like to hop out and walk a lot. I needed a lightweight, good quality travel stroller and this is perfect. Folds easily and very compact. Very comfy seat for either my two-year-old or my six-month-old. It doesn't recline flat but just enough for a nap. I love the carrying strap. It pushes very well. I hate how my regular stroller that came as part of my travel system is so big and bulky, but I've purchased several umbrella strollers and been disappointed with the quality. When I found this one on sale, I thought I'd take a chance on it after reading the reviews. It is an amazing stroller with a super large canopy to keep the sun out of my daughter's face, a large basket for storing things, and is tall enough that it isn't awkward for my 6' husband to push. Shipping was so fast! I couldn't be more pleased. I was looking for a well made, light weight stroller to keep in my trunk for the days when I have the delight of watching my granddaughter. I have bought from them before and Albee is wonderful to deal with. It seemed like I turned off my computer, and the stroller was on the front step. My little granddaughter and I love this stroller. ProsLimited assembly required. Light weight. Well made, great looking, quality fabric. Easy to steer or to fold or unfold. Even came with plastic cover for rainy days. Best Uses Anytime. Travel or just to have available in the trunk of your car. We have used our Maclaren Globetrotter in airports, shopping, and for the street. 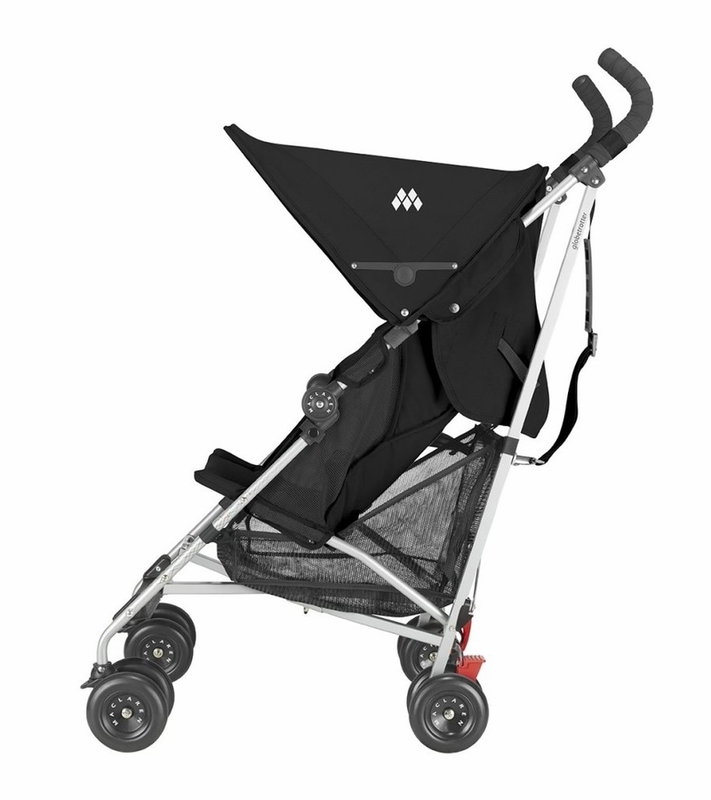 The stroller is easy to fold and unfold and is very comfortable for my daughter. 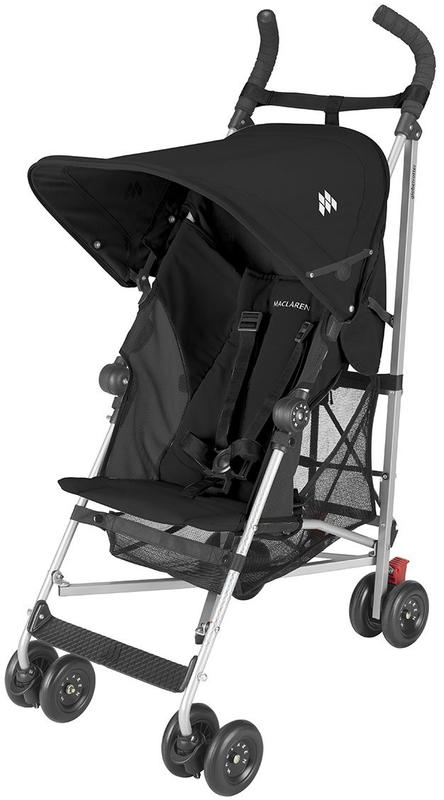 The recline is very nice and the sun shade is way better than any other umbrella stroller I have seen. The only downside is that on uneven pavement or asphalt, the stroller bounces and I worry that the wheels will wear out quickly. I realize that with such a simple stroller it is unrealistic to expect perfect wheels. I would recommend this stroller and have no regrets with the purchase. Shipping was super fast and the price was great. ProsEasy to fold/unfold, perfect size, very durable materials, beautiful color. Best UsesFlat, even ground, airports, malls, indoors. I love this stroller! I pulled it out of the box and it was ready to go. It's so easy to open and close and is so light weight. The rain guard that comes with it is very easy and quick to attach. I love how far it reclines. My daughter is comfy and most of all her head doesn't lead forward when she falls asleep. She's 13 month old and loves how easily she stands up to get out ones she's unstrap. The color is amazing and it really is water proof the water beads right off . Thank you ALBEE BABY for offering such an amazing stroller at fantastic price! ProsEasy to navigate city streets, amusement parks and the board walk! ConsI wish the rain guard came with a pouch for storage. Brought it for sole purpose - 5 hr layover at the airport and 2wk vacation..Worked as expected. Light, easy to fold, recline was good enough fir shorter naps. We are very happy with it. Color is beautiful, kid seems to enjoy it, easy to maneuver, easy to fold/unfold, light. Best UsesUrban site seeing, light shopping, when you need "snap and go" kind of thing. I'm very pleased with my purchase and AlbeeBaby. The stroller is very lightweight and easy to use. You can't go wrong with MacLaren and AlbeeBaby! Wonderful product from the best customer service around. Thank you. First of all the shipment was really quick, i was surprised when it came in earlier than i ever expected. About the stroller, really great quality and compact , great for travelling. The only reason i gave it a 4 star is becoz i expected too much about the weight, how light it would be, i thought it was gonna be as light as a feather, as it says 10lbs as base weight but the package i recieved read that weight was 15lbs. But i guess with all the features it has for an umbrella stroller i couldn't complain more. Other than that its a great stroller. Thanks for the easy and fast transaction albeebaby! Been wanting this color for a while. Finally it was in stock and I ordered it. ProsEasy to fold. Best umbrella stroller ever!